Jimi Hendrix Guitar Riffs "Fire" - Free Jimi Hendrix Guitar Riffs! This free Jimi Hendrix guitar riff is "Fire". Here's the 1st part of the intro to the song. This is a great beginner Jimi Hendrix guitar riff. You should be familiar with slides because this Jimi Hendrix guitar riff uses alot of slides. 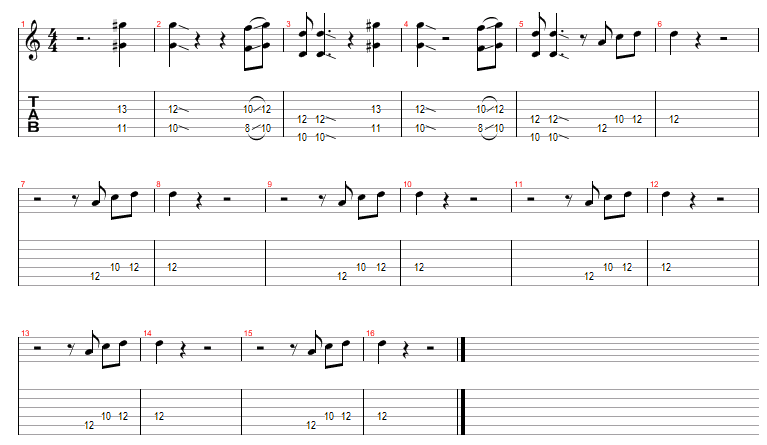 To play this Jimi Hendrix guitar riff just follow the guitar tab below and practice with the audio. If you need help reading this guitar tab check out the free Guitar For Beginners page.